Curator Historical International Art Dr Mark Stocker introduces us to Australian artist Lionel Lindsay, and a famous print that oozes 19th-century nostalgia: Cobb and Co.
Non-indigenous Australian art doesn’t necessarily thrill an Aotearoa New Zealand audience. But with printmaker Lionel Lindsay (1874–1961) it should. 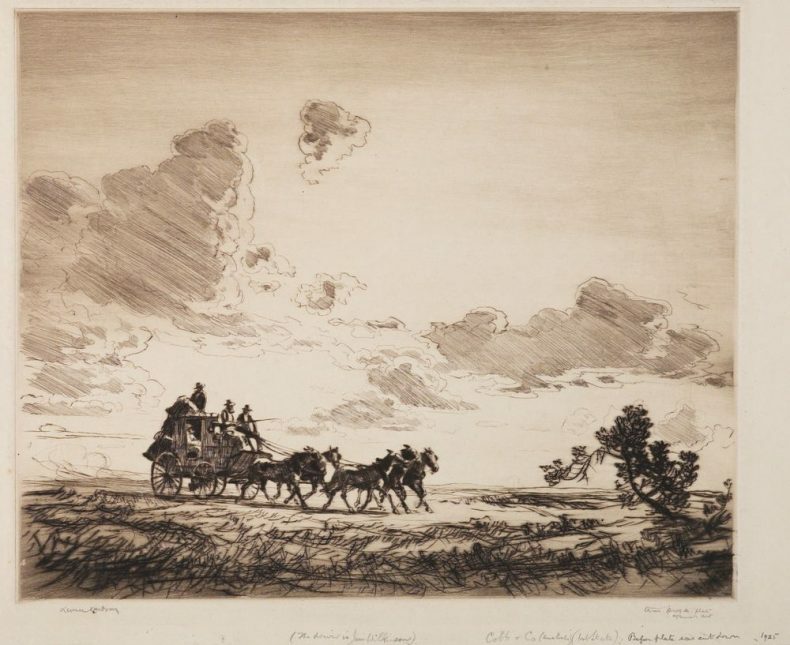 Thanks to Wellington collector and benefactor, Sir John Ilott (1884–1973), and his friend London art dealer Harold Wright, we have a remarkable collection of their mutual friend Lionel Lindsay’s prints and bookplates, spanning nearly forty years. Many depict animals and birds. 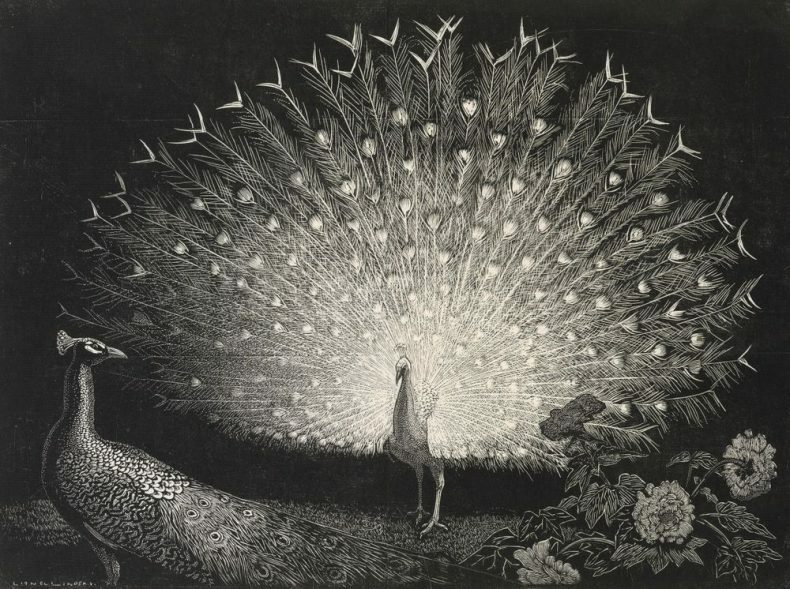 One such is the breathtaking wood engraving The white fan. 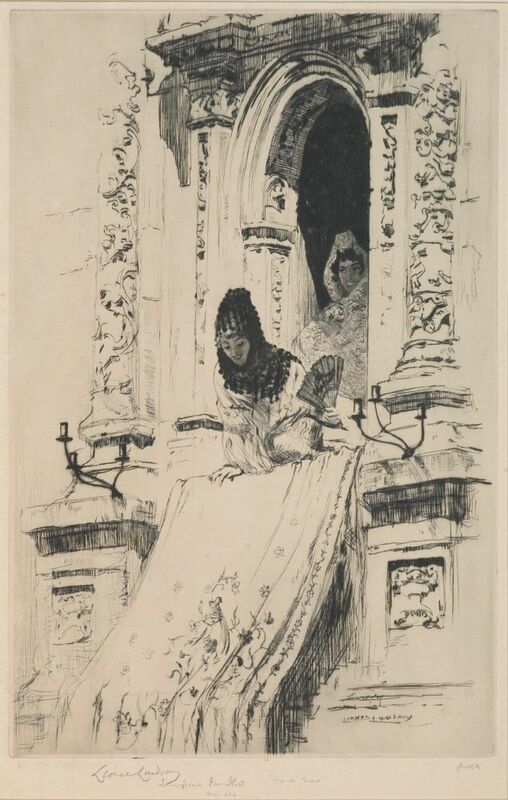 During the interwar years Lindsay also made some impressive drypoint prints of Spain – which he especially loved – and Sicily too. The scenes they depict reflect his ‘old world’ nostalgia, which he felt all the more because colonial and Dominion era Australia lacked this long and deep history. Instead, it worshipped progress and materialism – which the conservative Lindsay deplored. But colonial Australia did have a history and culture that obsessed Lindsay. 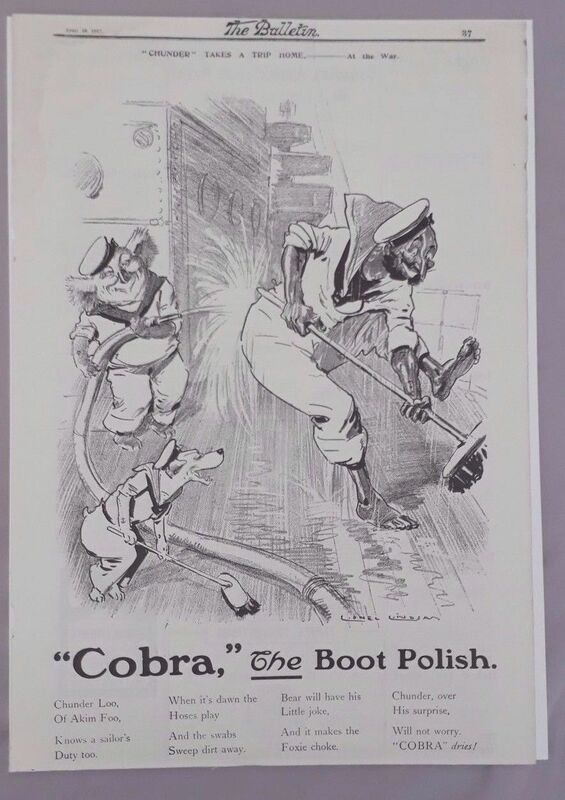 Today we often find it distastefully nationalistic, racist, sexist, and uncouth. Yet who isn’t moved by the golden light of late 19th century Heidelberg School painting, seen in Tom Roberts, Frederick McCubbin, and Arthur Streeton? Then there’s the vivid, poetic ‘Bush Legend’ imagery of Banjo Paterson (lyricist of ‘Waltzing Matilda’) and Henry Lawson (‘The Sliprails and the Spur’). VUW Art History graduate Miri Hirschfield notes how ‘images of bushrangers, the goldfields, and other outback subjects celebrated the pioneering lifestyle that was fundamental to the development of an Australian national identity. Bushrangers, such as Ned Kelly, and the [jolly] swagman of Waltzing Matilda, functioned as Australia’s cultural heroes and were viewed as the true Australians…’. In depicting them, Lindsay aimed to maintain the noble Heidelberg tradition. The effete international modernism of his near contemporaries Matisse and Picasso needed resisting at all costs! Before Lindsay’s ‘fine art’ prints brought him international fame and fortune, he made his name as a prolific black-and-white illustrator for The Bulletin, The Clarion and for Paterson’s and Lawson’s poetry. He even knocked off advertising illustrations, a good earner. But beneath the hack-work lay the aspirations of a ‘fine’ artist. The focus of this blog, Cobb and Co, stands at a crossroads between Lindsay ‘Mark 1’ and ‘Mark 2’. While its theme oozes 19th-century nostalgia, its refinement, scale, and function as a limited-edition print makes it consistent with his later scenes of Spain and Sicily. This famous coaching business was established in 1853 by American Freeman Cobb and his partners, who arrived at the Victoria goldfields that year. 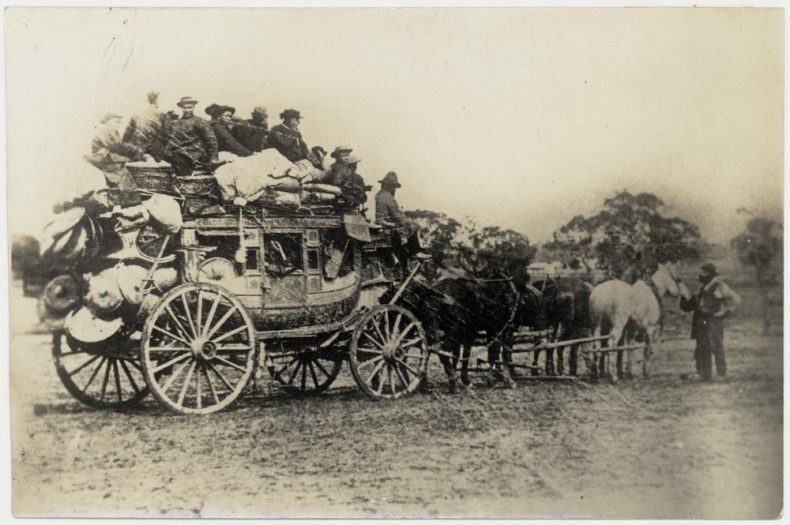 The name ‘Cobb & Co’ was carried by many stagecoaches carrying passengers and mail, initially to the goldfields and later to many regional and remote parts of the outback. The name was soon used in New Zealand too; the first coaches serviced the Otago goldfields. 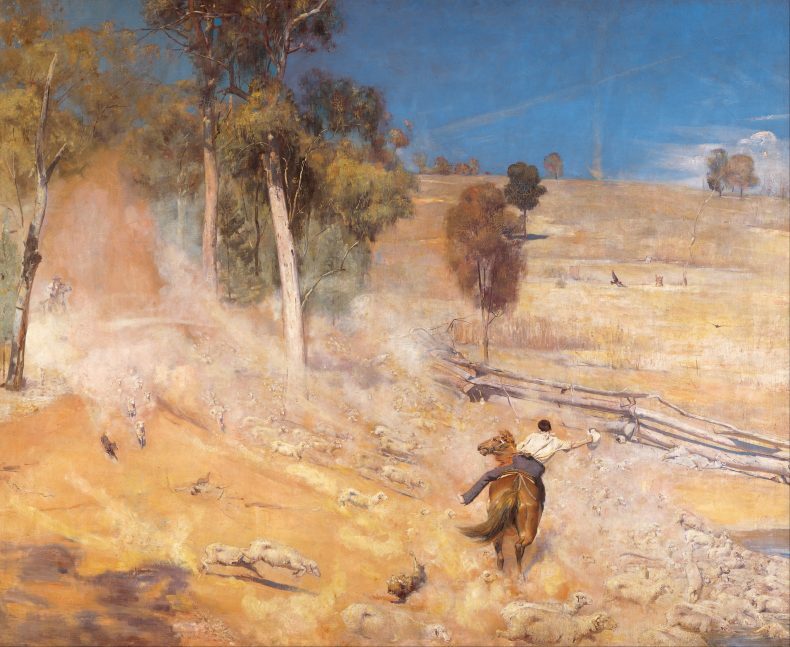 Cobb & Co has become an established part of Australian folklore commemorated in art (as here), literature, and on screen. In the early 20th century, alternative transport options for mail, whether motor, rail or air, brought on its demise. The last stagecoach ran in Queensland in August 1924, and its Otago counterpart six months later. Significantly, Lindsay’s print dates from 1925, when the memory of these final journeys would have been fresh and fond. Te Papa has two impressions of Cobb and Co. The larger one (1963-006-49) is an artist’s proof, inscribed ‘Before plate was cut down’. It formerly belonged to Harold Wright; Lindsay made sure his friend got the best! In the second, more common impression (75 were printed), the sky has been cut by over 30mm, removing a little grandeur but not really compromising its overall impact. Even this impression is special: it’s the first cab off the rank, inscribed ‘First on the Whatman’, the top quality English wove paper. A lone stagecoach crosses the vast outback expanse. It’s pulled by five horses, cantering majestically through the scrubby bush, denoted by a deft weave of abstract lines. Equestrian enthusiast Dr Jane Buckingham believes Lindsay knows his stuff: ‘these are not heavy horses but built for speed – so likely half-drafts’. The sepia ink beautifully reinforces the nostalgia, evoking photographs of that era. Although an inscription identifies the driver as Jim Wilkinson, we can’t discern who the other men in sunhats are. 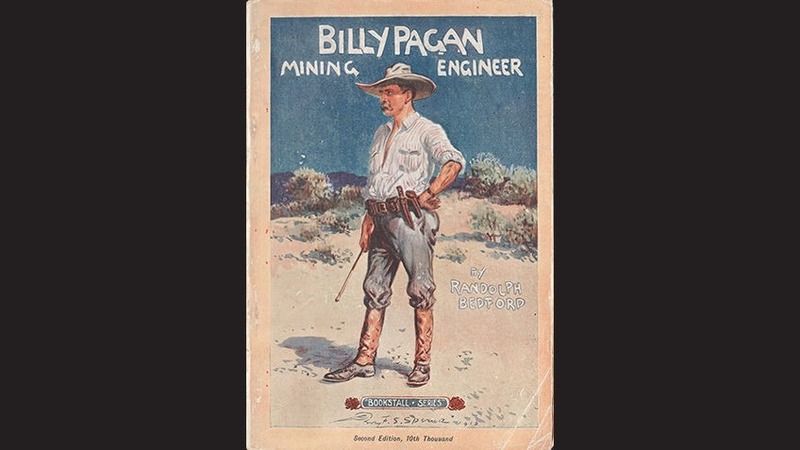 Are they gold prospectors, deliverymen, or better off passengers? And while her form is barely discernible, the passenger inside the coach is almost certainly female. Though such stagecoaches would have been a common sight in Lindsay’s childhood, the print was surely inspired by the memory of his own trip made in 1897 to the Western Australian goldfields, naturally in a Cobb & Co coach. He was accompanied by his lifelong friend Randolph Bedford, who launched the mining and literary journal The Clarion, which Lindsay illustrated and part-edited, and which brought him public attention. Bedford naturally owned a copy of the Cobb and Co print. 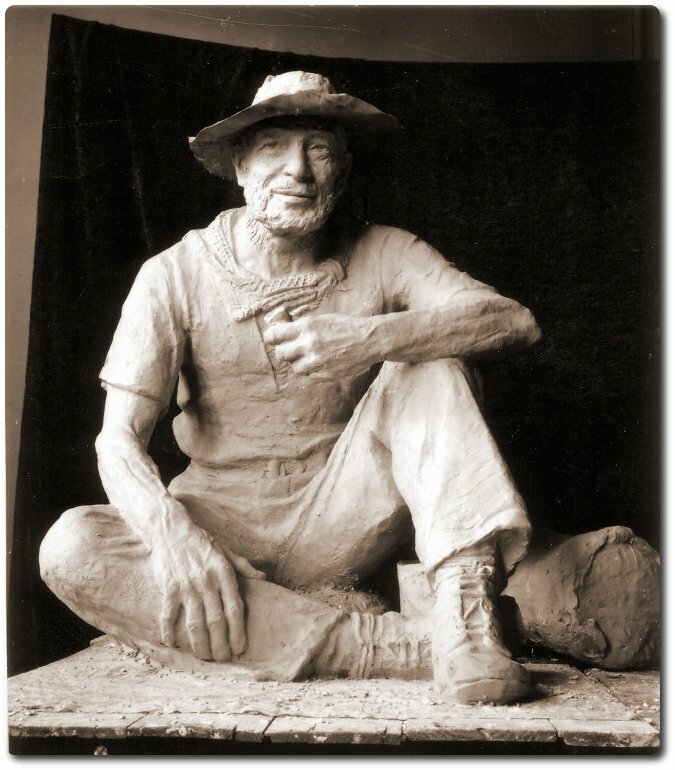 He described it thus: ‘As I write, there is on the wall above me some of the real Inland Australia. 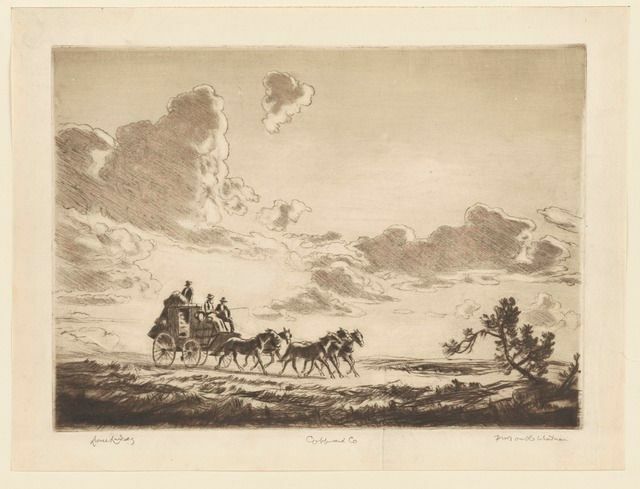 It is a Lionel Lindsay etching [sic], The Coach, and the artist’s treatment of cloud had made that plain a thousand miles wide; finely expressing the majestic greatness of the continent’. It’s no surprise that today Cobb and Co. is one of Lindsay’s most coveted prints, fetching prices on the Australian market far in excess of his Spanish counterparts, although 90 years ago the reverse would have applied. A lovely print, a terrific theme and very nice too. But there’s a whole story about the ‘afterlife’ of Lindsay’s Cobb and Co. that he never could have guessed in his wildest dreams. Hold your breath for the next week or so, and all will be revealed, cobbers! Thanks Olwen. Bob Menzies plays a star role in it, but my lips are sealed!